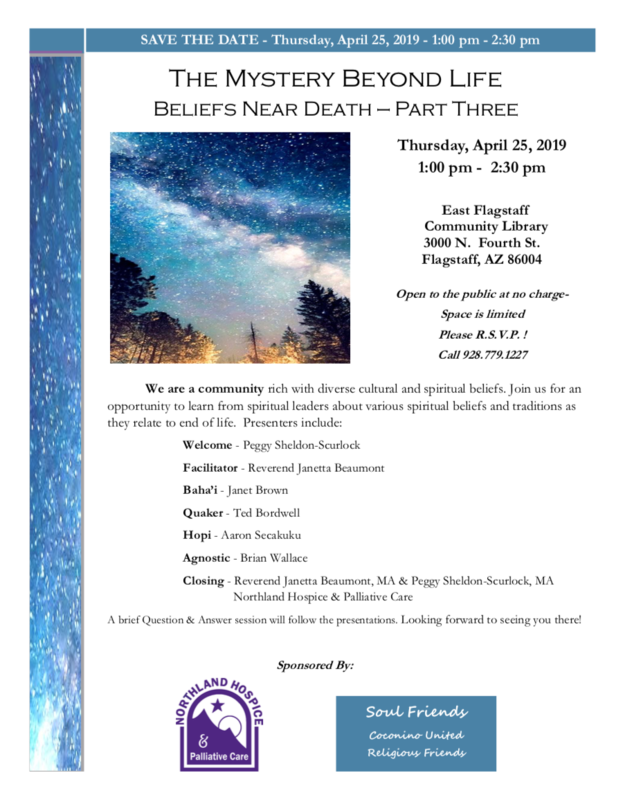 FLAGSTAFF — “Mysteries Beyond Life – Beliefs Near Death – Part Three” will be presented from 1 to 2:30 p.m. Thursday, April 25 at the East Flagstaff Community Library, 3000 N. Fourth St.
We are a community rich with diverse cultural and spiritual beliefs. Join us for an opportunity to learn from spiritual leaders about various spiritual beliefs and traditions as they relate to end of life. Open to the public at no charge. Space limited. Please RSVP by calling 928-779-1227.